This spectacular 2 bedroom, 2.5 bath, Genova home is resort living at its best. 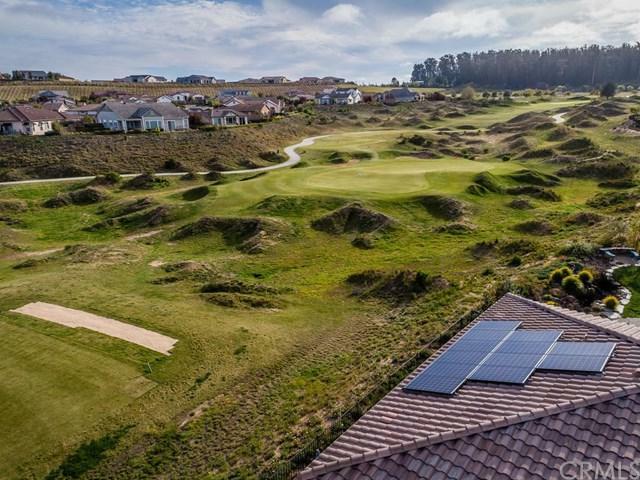 Situated on the 11th hole of the Challenge Golf Course, with incredible views in every direction, this popular 2,181 solar model has all the space you need to entertain in style. 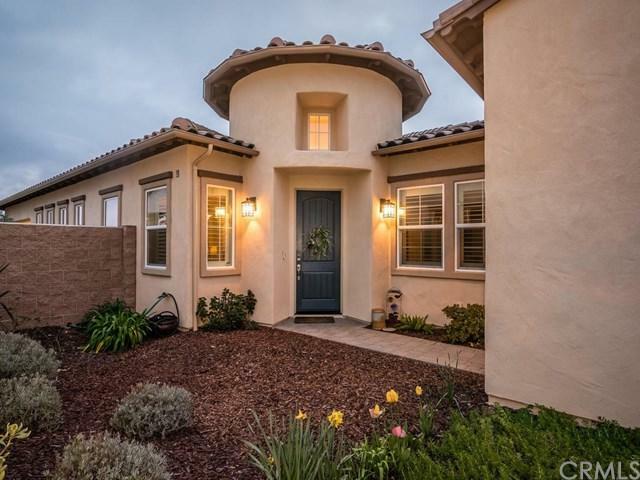 When you walk inside you are met with an inviting circular foyer overlooking the den. Next is the formal dining area with beautiful floor-to-ceiling custom built-ins, and plenty of golf course views. Continue on to the expansive great room and kitchen where friends are sure to gather. The great room features a fireplace with custom mantle, built-in display and storage cabinets, and access to the covered patio outside. The gourmet kitchen is equipped with stainless appliances, on-trend grey cabinets, neutral tile backsplash, oversized granite island with pendant lighting and walk-in pantry. The adjacent laundry/smart space is a hobbyist+GGs dream with an abundance of storage cabinets, countertops and front loading washer/dryer. 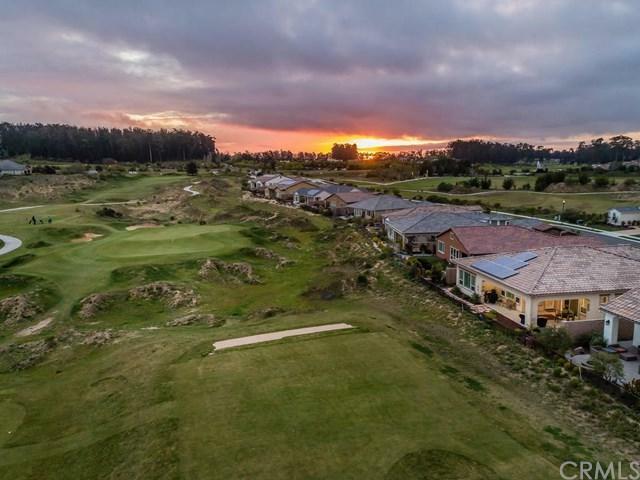 Head over to the master suite for more spectacular golf course views and a bath that will remind you of your favorite spa, featuring slab stone counters, tiled shower, tub and floors, chandelier lighting and a spacious walk-in closet. 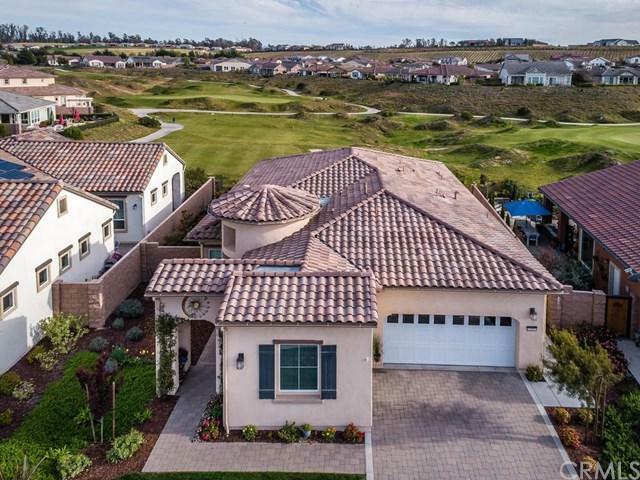 Add to this a guest bedroom with en-suite bath, powder room, plantation shutters, 2 car garage plus a golf cart garage, security package and you+GGve got the home of your dreams. Best of all, it+GGs located in Trilogy with Adelina+GGs Bistro, Sandalwood Spa and so much more.